The Chicago Sun Times reported last week about the death of the bicyclist in Chicago’s West Loop and what safety precautions the city is taking to protect cyclists. A 39 year old woman was riding in the bike lane north bound on Halsted. As she was turning right onto Madison, a a dump truck owned by Lakeshore Recycling Systems, turned at the same time and clipped the woman causing her death. This type of turn is known by cyclists as a “right hook” turn. Chicago, which is known as one of the premier cities in world for bicyclists, may not be providing all the safeguards needed to protect cyclists. Last year the city passed an ordinance requiring that trucks install side guard rails on trucks similar to the dump truck in question, which helps prevent cyclists from being sucked under the truck in case of a collision. Unfortunately, the truck in question did not qualify for this type of guard rail as ordinance only only applies to large vehicles working on city contracts worth $2 million or more. The same ordinance also also requires trucks to have convex and crossover mirrors, only went into effect last month, and it’s being phased in over the next four years. I think the city is falling short in their quest to be the most friendly bicyclist city in the world. They are certainly falling short towards their “vision zero” goal of no more traffic fatalities in the city by 2026. First, I think the city needs to require guard rails on all dump trucks, regardless of the size of their contracts with the city. Second, the time frame for the installment of the convex mirrors should be sped up. A lot of these waste removal companies are private, and they should take these small steps of upgrading their trucks immediately. The short term costs far outweigh the potential future loss of lives and serious injury. Finally, I think safety training for the drivers of these trucks needs to be overhauled. What safety training is required? May be further training and testing should be implemented with a focus on dealing with cyclists and pedestrian safety. If you or a loved one has been seriously injured in a Chicago bicycle accident or Chicago car crash, then call Chicago personal injury lawyer, Aaron J. Bryant, for a free legal consultation at 312-614-1076. An alarming eighteen (18) pedestrians have been struck and killed in Chicago this year. That is up from a total of fourteen (14) through all of 2017. The Chicago Sun Times reported today that the Active Transportation Alliance, a community protection group, is calling for immediate changes from city legislators. The group is calling for proposing lower speed limits, more speed cameras and a $20 million-a-year fund to pay for Mayor Rahm Emanuel’s “Vision Zero,” which aims to eliminate traffic fatalities and serious injuries by 2026. The group is asking that the money go to multiple improvements including: better-lit crosswalks and countdown timers; pedestrian-refuge islands on wider streets; narrowing streets and re-striping the width of lanes to force motorists to slow down and installing bump-out curbs that force turning vehicles to go slower and make wider turns. Neither Mayor Emanuel or the cities’ transportation department has responded to these requests by the Active Transportation Alliance. I think most of these improvements are needed. My only issue has to do with the speeder cameras. I don’t think there is enough evidence yet showing that these cameras are an actual deterrent or make our streets safer. As I have written multiple times in the past, we know for sure that the red light cameras have not made intersections safer. Multiple studies from Texas A&M University have shown that overall the cameras have not actually reduced accidents. I think the jury is still out on the speeder cameras. All of the details of this new safety program will be released later this Fall, but the press release stated that the plan will look at traffic safety as a public health issue and identify priorities for the City’s engineering and education initiatives, as well as enforcement support for reducing crashes. City departments are currently working with stakeholders and the public to develop the final goals and strategies included in the plan. In 2016, more than 100 intersections will receive additional infrastructure to make it safer for people walking to cross the street. Among these is a Safe Routes to School project on the West Side that has installed 10 pedestrian refuge islands along Madison Street and Chicago Avenue. There are 10 schools located within a half-mile of these high crash areas. The City is also enhancing safety by making traffic signal improvements, resurfacing hundreds of miles of streets, installing speed feedback signs, and adding or improving 25 miles of bike lanes this year. The city is treating this as a public health issue, as they should. Chicago has seen six bicycle traffic fatalities this year. That number equals the total number of bicycle traffic deaths from last year with three months still yet to go in 2016. Chicago is at a crossroads right now with bicycle safety. Chicago was recently named the top bicycle friendly city in country by Bicycling Magazine. We have more bicycle commuters than ever along with Divvy bike riders crowding our roads. This is a good thing. So are all of the dedicated bike lanes. But bicycle traffic accidents and fatalities are still prevalent. Bicyclers and motorists need to learn to co-exist. We need to be mindful of each other and always observe the rules of the road. “Vision Zero” is the perfect stepping stone to help lead to a better co-existence between bicyclists and motorists. I will be writing more about the initiative once the full plan is announced. If you or one of you loved ones has been seriously injured in a Chicago bicycle accident or Chicago car crash, then call Chicago personal injury lawyer, Aaron J. Bryant, for a free legal consultation at 312-614-1076. The intersection located at Lincoln, Ashland and Belmont Avenues will receive an overhaul, according to online blog DNA Info Chicago. This intersection, often referred to as “Six Corners” is considered to be one of the most dangerous and congested intersections in the city. An average of 35 car crashes occur each year with daily traffic around 62,000 vehicles. The intersection with the highest traffic crash rate — Stony Island, South Chicago and 79th in South Shore — had an average 63 car crashes with about the same traffic volume. Extending curbs at all six corners, which shortens and straightens crosswalks. The Lincoln Avenue bump outs would be specially designed to straighten the street for a more “intuitive” crossing. Eliminating four turns, including the left turns from northbound Lincoln to Belmont and from southbound Ashland to Lincoln. Right turns from northbound Ashland to Belmont and from southbound Lincoln to Ashland would also be restricted. Moving bus stops to the far sides of the intersection — southbound Ashland buses, for example, would stop at the southwest corner in front of Central Savings bank. Adding bicycle lanes with dedicated, dotted crossings along Lincoln Avenue. Bicycle boxed spaces painted green would also put bicyclists ahead of vehicles at the cross. These are changes that are long awaited and should make the area safer for drivers, pedestrians and bicyclists with the dedicated bike lane on Lincoln. I’ve said this before, but the city is standing by its’ statements from five years ago that they want to be a front runner for bicycle accessibility and safety. The city is proving again that they care about bicyclist safety. 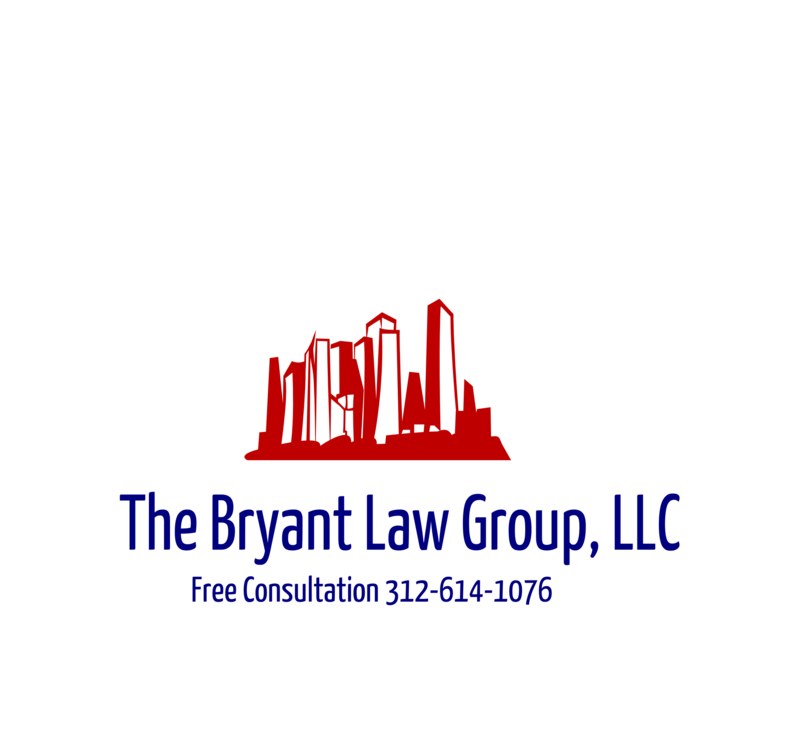 If you or someone you love has been injured in a Chicago car accident or Chicago bike accident, then call Chicago personal injury lawyer, Aaron J. Bryant, for a free legal consultation at 312-614-1076.